Ads are listed on this page in the order that they were placed, with the most recent being at the top of the page. Only residents of White Bluff may submit classified ads. There is no charge for this service. Click to submit an ad for an Automobile, Boat, Motorcycle, RV, Trailer, Antique, Furniture, Household Item, Pet, or some other item. 2006 BMW with new tires- looks fantasic inside and out. Email Ronald Stone or call 512-560-7865. Purchased in October 2016. Used less than 20 hours. Email David Briggs or call 254-221-0155. 900 sq. ft. that sleeps four, with a full kitchen, one king bed and one sofa bed. Full bath, washer/dryer, tub with jets, gas fireplace, balcony/porch. For more resort information, photos and requirements , google "Wilderness Club at Big Cedar"
I hold confirmed reservations. Upon receipt of cleared payment (PayPal preferred), I will have the reservation placed in your name and email it to you. Email Wally Windle or call 254-694-6304. Looking for a large white side by side refrigerator in good shape. Email Barb McAfee if you know of one for sale. Male cat to a good home; pretty, healthy, one year old, up to date on all vacinations, neutered, house broken, litter box trained but will go outside in day time, obedient and affectionate. Email Karl Craun or call 615-797-3965. Need RV/camping trailer for May-June while working at Copper Breaks State Park. Will be parked at all times with full hookup; must have good AC. Email Larry Smith or call 817 602 0676. Leave a message if you do not get an answer. Covers for Titleist Driver, or Callaway utility clubs, found at New Course cart barn. If you could use these, email Jim Strouse or call 972-658-0831. Signed and numbered G. Harvey Morning Market print. Email Rob Barlow or call / text 817-235-1800. Custom painted computer desk - antique white with copper handles. In great condition, just not in need of it anymore. Email Julie B Hatfield or call 817-889-5139. Two 24" decorated holiday wreaths by Holiday Foliage. Asking $10 each, or both for $18. Email Jay Kralik or call 254-221-0047. Includes professional services, embalming, care of embalmed or embalmed remains, use of facilities for viewing and funeral or memorial services, one Brown Albert Casket, an outer burial container, transportation, one memorial book and acknowledgement cards. Email Kay Lea Scott or call 254-479-1347. Compete king bed with mattress and foundation. Includes sheets, pillows, comforter, dust ruffle, decorator pillows. Ready to set up and enjoy. Email Linda DeWitt or call 432-362-1598. Three pieces of Copenhagen teak furniture. Table, Buffet and Wall Unit. Table is 62" x 35" with two under 20" extenders. Bookcase is 3 pieces - approx. 75" inches together, bookcase section is 21", middle section is 40" and corner piece is 13". Asking $700 for all pieces or will sell separate - table and 4 chairs $200, buffett $200, 3 piece wall unit $300. Email Vickie Smith or call 254-203-1323. Antique dresser with mirror, approximately 100 years old. Email Keitt Wood or call 254-253-0559. 22" x 64" glass inserts. They are in good shape and the space between the glass is not foggy. Email Jerry Moore or call 254-749-6553. Off white upholstered seats, wood back chairs. Nicely carved legs on chairs and table. Email Lorraine Bretthauer or call 817-300-5479. 2013 Tahoe Q5i Runabout (boat). The engine is a 240 hp Mercruiser inboard that only has 47 hours on the engine. This boat has always been kept in a garage when not on the lake. As a result, it is super clean with no scum lines and in great condition. Will include an O'brien (60 inch) inner tube, ski ropes, anchor, 7 life jackets, a knee board, and a pair of skis. Plus, the trailer has a spare tire to go along with the boat. Email Todd Williams or call 972-268-2656. WW Trailer 1998, excellent tires, 2 axle, solid floor. Email Lisa McCoy or call 919-810-2285. One owner fully loaded with Luxury Package. 73,000 HWY miles, garage kept. Leather, sunroof, back-up camera, heat & cooling seats, too many options to list! Like new and drives perfect, has had all maintenance performed on time when needed. Email Amber Brown or call 254-266-0816. 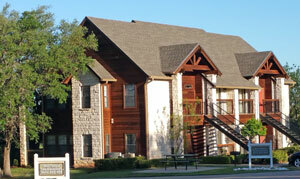 One week available at the Heartwood Condos in White Bluff. Nice, 2 bedroom, 2 bath, fully furnished. Can use the condo at the other Double Diamond Resorts as well. Email Ross Carnes or call 817-874-2459. I work with an organization that finds host families for exchange students ages 15-17 looking to attend high school in the USA. Students come from countries all around the world. They pay their own personal, education, travel and health insurance expenses. They are athletes, artists, musician's and just good kids. Usually above average students with good English skills. They come for the school year. Universal fit for cars 217"-238" in length. Elastic front and side edges. Pull string for snug fit. Outdoor, 3 layers, water resistant. New, in shipping bag, never used. I used in my ToyHauler RV but can be used on a trailer or just on garage floor. Mine was used for a 2008 Harley Ultra Classic Motorcycle. See https://wheeldock.com/ for more information. Email Chris Bradford or call 214-505-1089. Power steering, air conditioning, power brakes, power windows. 4 cylinder, 5 speed manual transmission. Email Ken Cole or call 254-694-8375. Ornamental hand carved tree with multiple flowers made of precious stones such as jade & coral, in the shape of a whale on a jade base. 17" ht x 24" wide. Email Adela Garza or call 254-694-3084. 2014 Seadoo 3 up Spark for sale. Deluxe trailer and jetski cover. Add ons purchased include rear step up mounting, front waterproof glovebox for storage and both sport / recreational modes. Please call and we will meet you at the dock for you to test run it. Email Jason Clift or call 254-707-1452. Antique Duncan-Phyfe drop leaf dining table. Email Leonard Critcher or call 214-616-4177. Columbia Grafonola Type G-5. Shelves in bottom of cabinet. Asking $300 OBO. 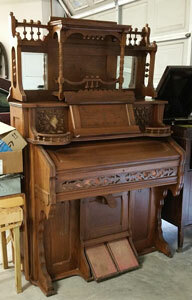 Antique organ. Round stool included (not pictured). Asking $1200 OBO. Call Mary Parish at 254-694-4996. Used Equal-i-zer Sway Control Hitch - Model 90-00-1000. 1000 lb max tongue load, 10,000 lb max loaded trailer weight. Price reduced further to $200 ($497 best price on Amazon). Email Bill Payne or call 254-707-1489. Harman/Kardon & Infinity Speaker System. Email Freddie Gilmore or call 972-742-6558. Email Betty Blocklinger or call her at 254-580-3498.